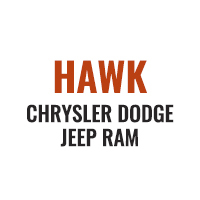 For premium Jeep service at a competitive price, put your trust in the certified technicians at Hawk Chrysler Dodge Jeep near Naperville, Illinois. Your Jeep Grand Cherokee will perform as it should in every season and on all terrain with regular Jeep maintenance and auto service from a Jeep mechanic who knows your SUV inside and out. Our team is factory trained to maintain your Jeep vehicle at its rugged best. Automotive service is fast, efficient, and convenient at the dealership. Stay on schedule with free shuttle service, complimentary WiFi, and early drop off. Service your Jeep vehicle at your trusted Naperville, IL Jeep dealership. With our Mopar Express Lane, you can fit in an oil change or tire rotation when it works for you. Take care of essential car maintenance like replacing an air filter or installing fresh wiper blades in minutes, no appointment necessary. Need major work? No problem! Our Jeep experts will handle your HVAC or transmission repair with speed and precision. We use genuine Mopar replacement parts for a perfect fit every time. Talk to the professionals at Hawk Chrysler Dodge Jeep near Naperville, IL, about getting even more from your Jeep SUV with Mopar performance parts. Visit our Mopar Express Lane for a brake check, book your next appointment online, or call the service department at Hawk Chrysler Dodge Jeep for superior Jeep service near Naperville, IL.